When it comes to tablet pens, there are so many options available for consumers. But recently here in Japan, one tablet stylus called Touch Pen Pro has been getting more and more popular. 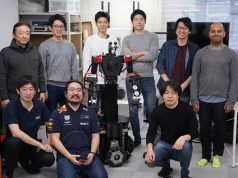 In fact, to accommodate to the growing demand, the company behind the product began distributing to major electronics stores, as opposed to just selling online. The pen’s maker may come as a surprise to you, however. The company, Akaishi, is a shoe maker that was founded way back in 1946. Yes, you heard me right. A shoe maker. Akaishi has long specialized in making practical shoes based on biomechanics, and they are now sold in overseas markets as well. 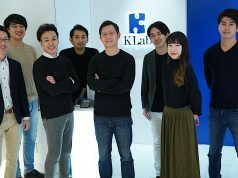 In the 1990s, the company also began developing reasonably priced health and fitness products, but it was constantly searching new businesses that leverage both its technology and its factory facilities. 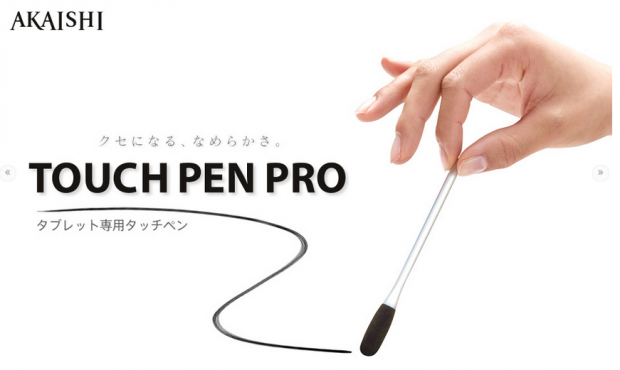 And so back in December of last year, Akaishi launched its new product, the Touch Pen Pro. The fluffy tip of the pen is made of conductive fiber, which differentiates the pen from regular silicon pens. Because of this special fiber, there is less friction when the pen is stroked on screen, only 20% as much as a regular pen. The fiber allows for a smoother writing experience on screens, requiring only about half the strength needed to write with regular pens. Back in Feburary, we introduced another Japanese manufacturer, Hiyoshi Packing Corporation, who leveraged its existing technologies to make sleek card cases. Its core business, in contrast, is auto parts and electronics processing. 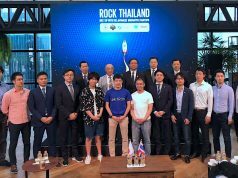 Our readers may also recall the Japanese startup Factelier which is collaborating with Japanese factories to bring interesting products to consumers. Japan’s technological craftsmanship is too precious to fade and die out. So we really hope to see more creativity and inventions such as the Touch Pen Pro, which help old businesses rebound into modern markets. Touch Pen Pro is currently available to purchase online over on Amazon or on Rakuten for 1,575 yen (or about $15). Check out the video below to see how Akaishi’s tablet pen works.